The Healing Well, and another Tenderloin neighborhood organization, Hospitality House, were featured in a KQED Radio article. It speaks about the therapeutic power of creative expression. 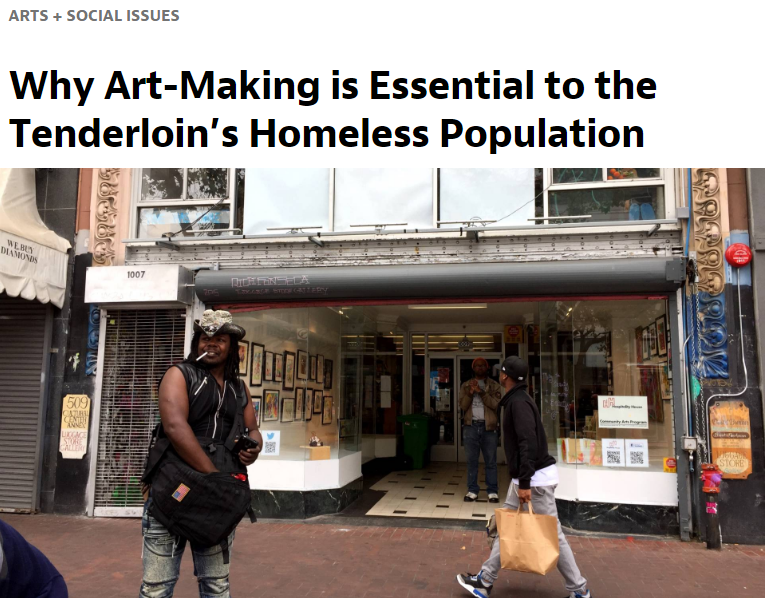 Click the image to see the artistic reporting done by The Coalition on Homelessnes's Street Sheet SF, which gives the story of The Healing Well and the amazing home of Faithful Fools.